Aaron Cohen of Eat Boston. Morsels of chocolate-coated bacon, mini cups of maple and bacon-infused beer, bacon cotton candy, and smoked cod and lobster chowder with bacon lardon were just some of the samples. 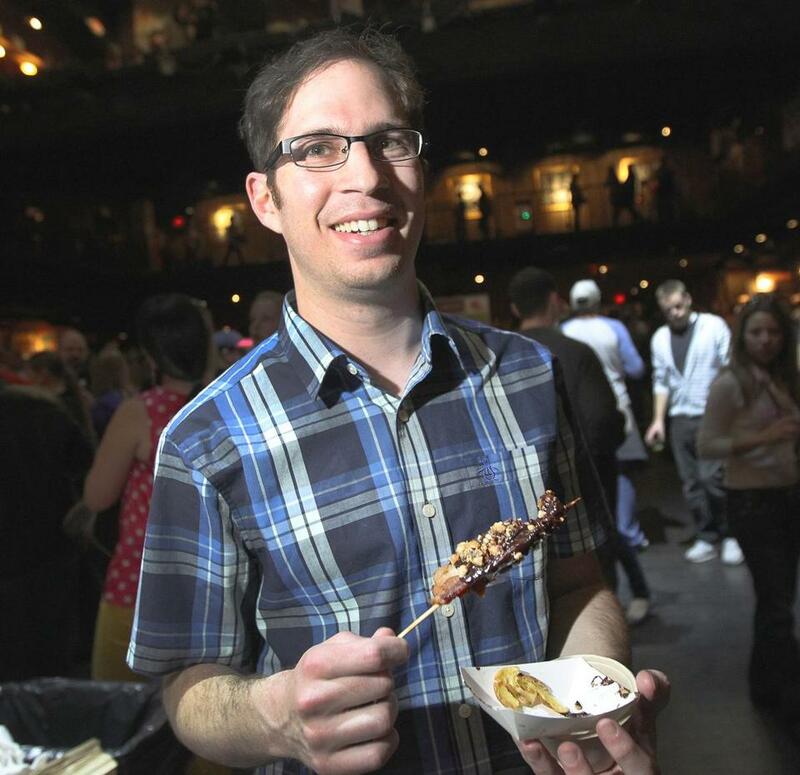 About 1,400 people were drawn to this tasting at the House of Blues last Saturday. Izzy Berdan of Union Bar and Grille with a pan of bacon chocolate bark. 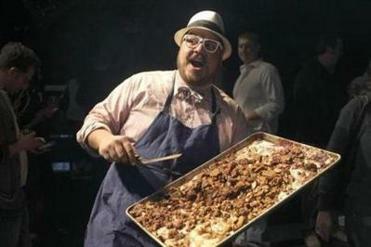 The third annual Boston Bacon and Beer Festival, organized by the event company Eat Boston, proved to be the most explosively popular event on the organization’s calendar. Bacon and beer raised more than $20,000 in a single afternoon for the hunger relief organizations Community Servings and Lovin’ Spoonfuls. Aaron Cohen, at the helm of the three-year-old Eat Boston, dreams up drool-worthy foodie fund-raisers, such as Guacaholics Anonymous, Ice Cream Showdown, and Ginger Explosion, and so far, all have been successful. 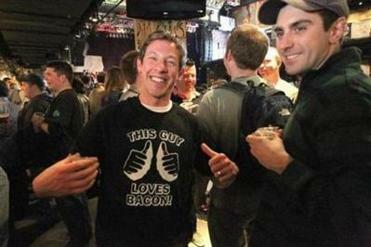 After last year’s Bacon and Beer fest at Royale sold 800 tickets in two minutes, Cohen knew he needed to make it bigger. This year, bacon and beer is a full week of festivities, ending this weekend, catering to about 75 percent more people than last year. In addition to the festival at the House of Blues, Cohen planned a bacon and beer karaoke harbor cruise, two beer and bacon-inspired art shows, and a week of related restaurant events. 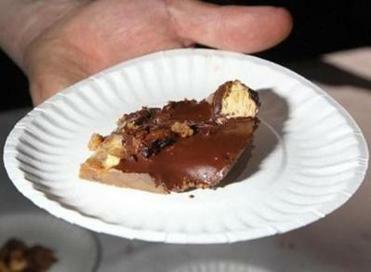 A sample of the chocolate bacon bark from Union Bar and Grille. Dan Brush of Haverhill shows off his shirt. Chris Douglass, owner of Tavolo and Ashmont Grill in Dorchester, was one of the festival vendors. He says he was thrilled by the demographic of mostly young, casual people, because that’s the scene he wants at his restaurants. “I’m floored by Aaron’s drawing power,” says the restaurateur. From Tavolo, there was a beer and bacon float made with Blue Hills Brewery porter ice cream and bacon jimmies. Cohen says part of his desire to organize food-related events stems from his fascination in the detail-oriented craft and creativity of chefs’ work. “It’s interesting to work with people who are hyper-focused in a different direction than I am,” he says. “A chef’s hyper-focus is putting something on a plate and they know exactly what it’s gonna look like, without ever doing it, and maybe never having done it in their lives. I don’t know how they do that. Boston Bacon and Beer Festival activities continue through Saturday. Go to www.baconandbeerweek.com.